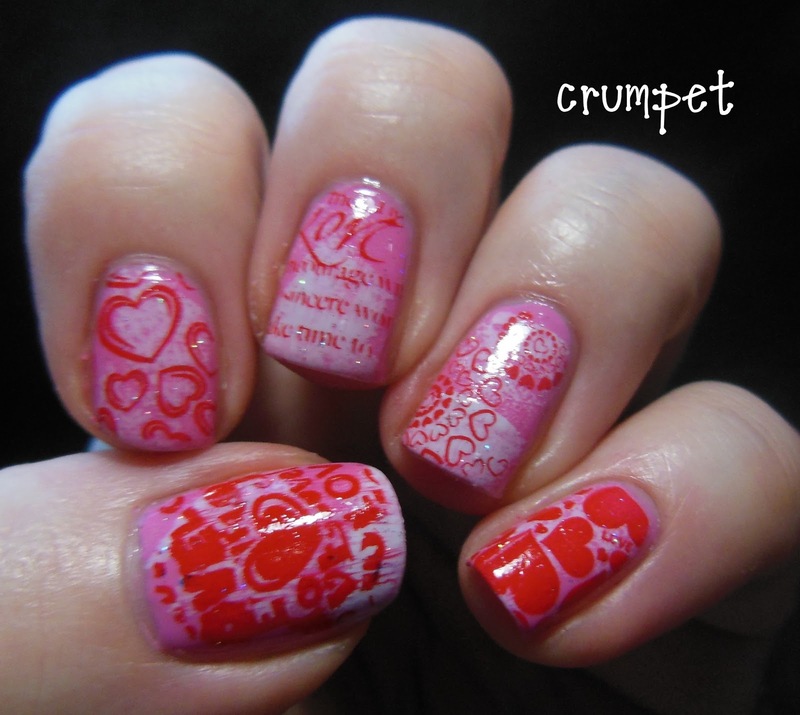 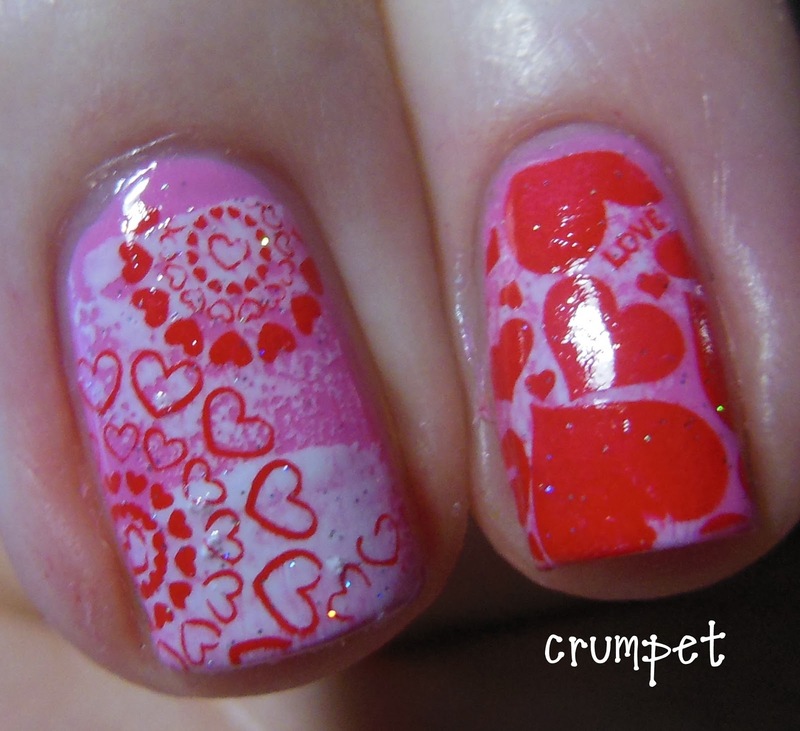 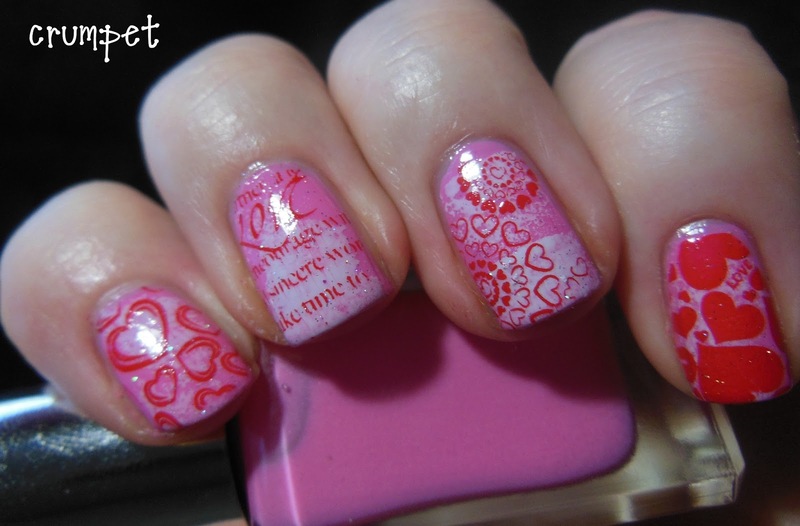 It's Love and Heartbreak Week on DD this month, and I have 5 cute manis lined up for you. 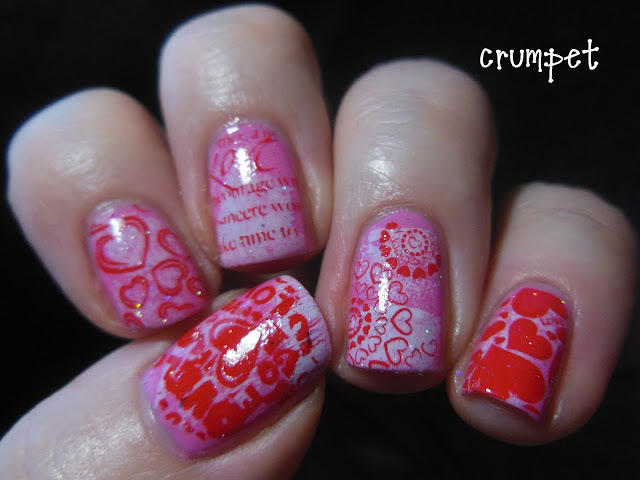 Most of them - whoops, ALL of them - are stamping manis. If I'm not going to use those stamps *right now*, they're never gonna get used, right ? 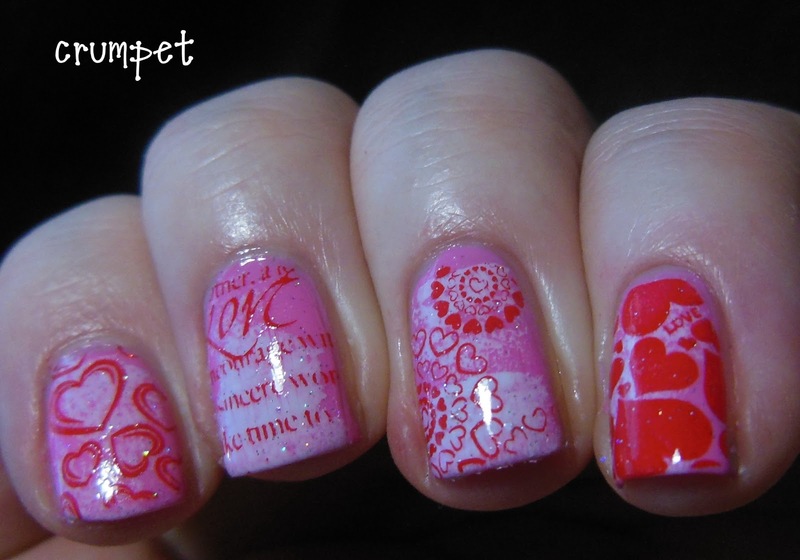 As usual, some came out better than others, and I'm starting with my favourite of the 5. 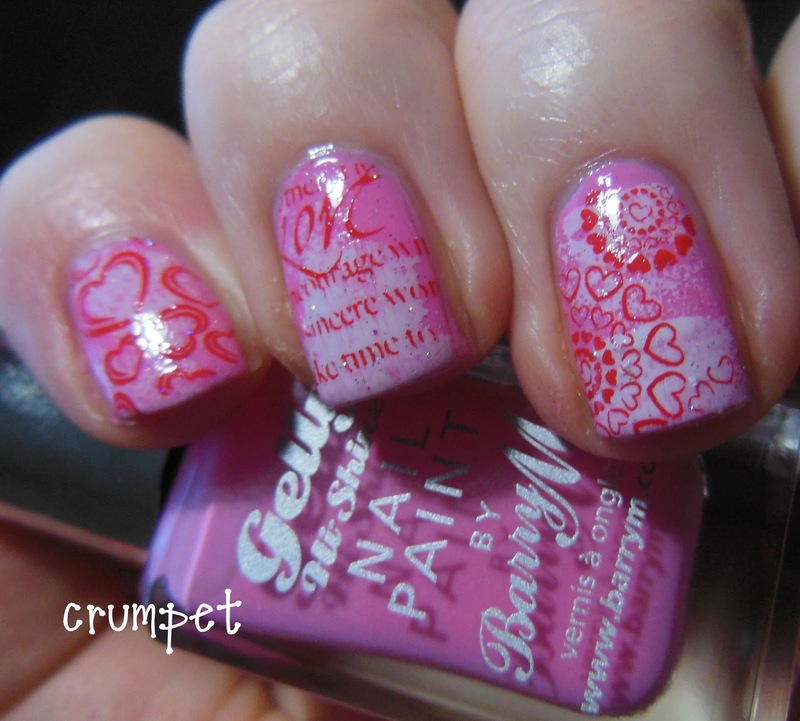 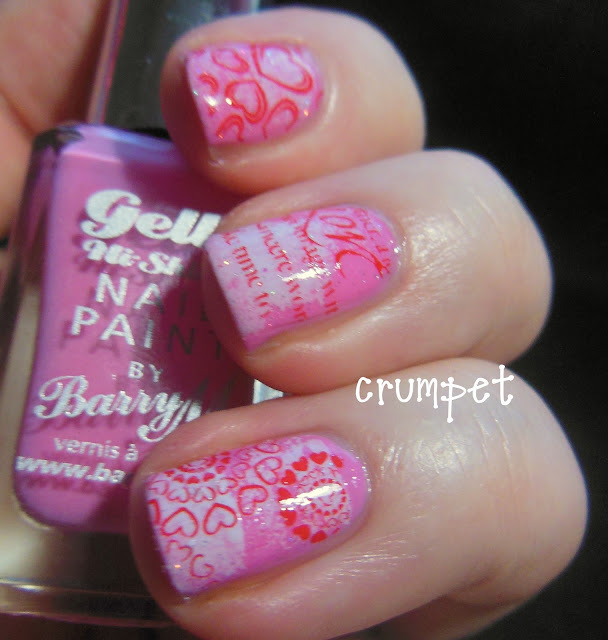 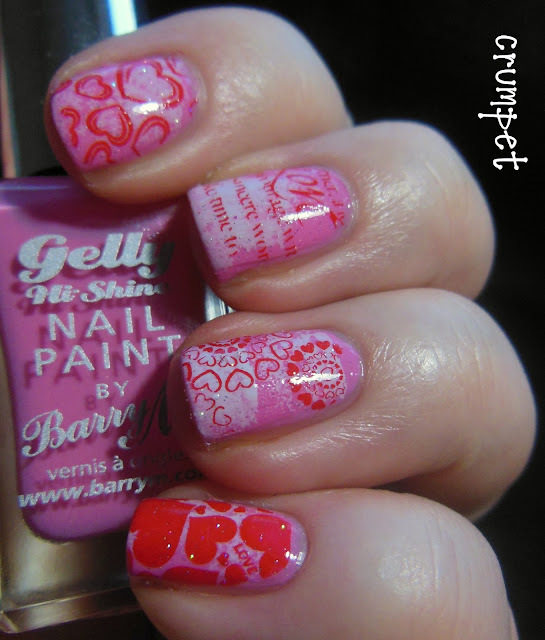 This was built on a base of one of the new Barry M Gelly Paints - Dragonfruit, a deliciously pink confection. 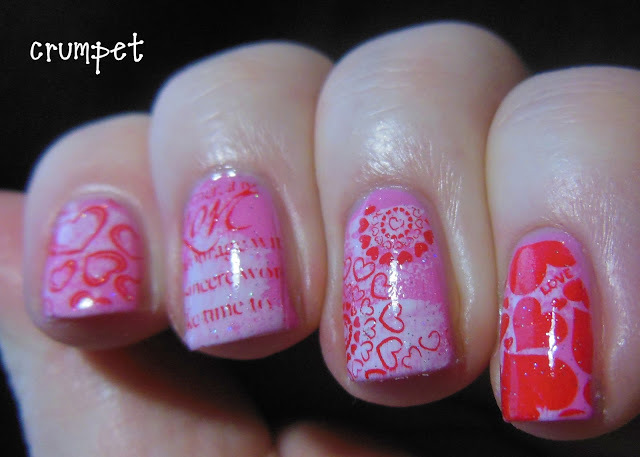 I then sponged some random white patches onto the nail, using OPI My Boyfriend Scales Walls, and then stamped using Konad Red and various stamping plates. Red, pink and white is a combination that I find quite irrestible. 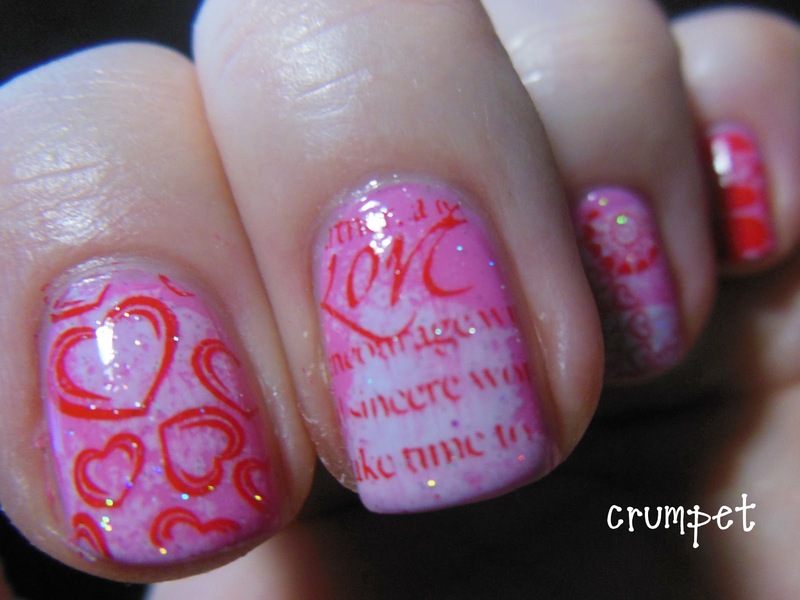 I honestly don't know why, but it always *works* somehow.